Before I know it, our library fundraiser will sneak up on me… and so I’m trying to work on my silent auction donations. Today’s craft was a mixture of new and old. Have you ever read books where to waterproof or protect an item, they wrapped it in waxed cloth? Or think about waxed paper… now think back to when they *really* waxed paper! It’s a new trend… to use wax cloth instead of cling wrap. Now don’t get me wrong, this stuff won’t hold like Press N Seal, but it does work in most situations. In fact, I just washed and cut up some old shirts. If you’re gonna reuse/recycle, you might as well do it up! Now, if you watch videos on how to do this… they say to grate the wax over the top of your fabric. (or buy beeswax already grated) Well, that’s not really nice to your grater… and it takes time and it’s not really easy… So, I did my own take. 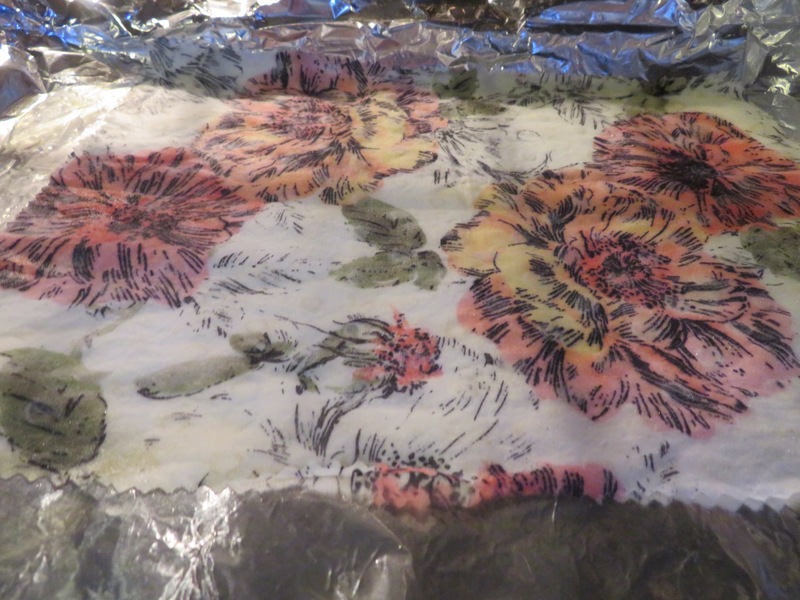 I foil lined a cookie sheet and put it in a 200˚ oven. 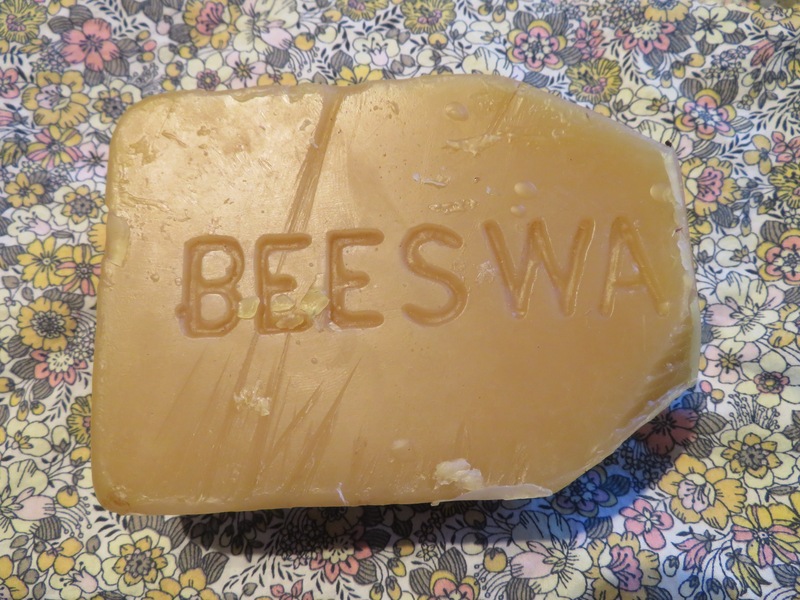 Once hot, I took my bar of beeswax and let it melt onto the foil. I then took my pieces of fabric and laid them in the melted wax. Letting it soak up the wax, but not enough to crack when bent, it took a few trips in and out of the oven before it was up to specs. To use, all you do is use the warmth of your hand to seal it to itself or bowl. When it gets dirty, a simple rinse should clean it up. I’m eager to try them myself, but first, I have three sizes made up for the auction. 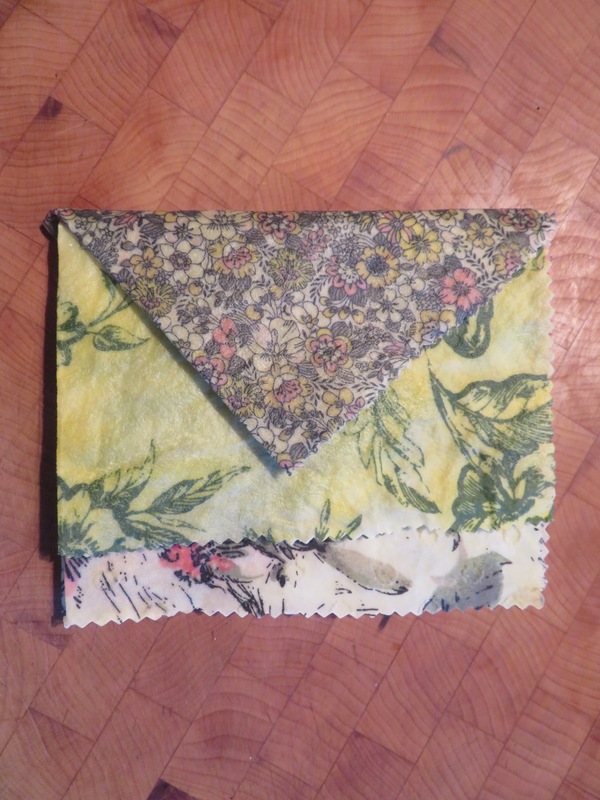 The waxed cloth products on the commercial market are not nearly as pretty as yours. Thank you for sharing the “how to”! I think I’ll give this a try. Thank you. It’s very easy. Just let the fabric soak up the wax, but not enough that there’s a coating you can see. It will just pop off and you’re wasting wax. Good Luck! Post me a pic when you’re done! This is a wonderful idea. Yes, I’ve heard of alternatives to cling film and we really do need to use less when we can. Way back in 1970 Prince Charles wrote a paper/speech on the problem with single use and other plastics. No one listened and look where we are today. Drowning in plastic!! Well done Carol. These waxed cloths look great.